Like so many jobs, this one for ESPN Magazine was a mixed blessing. With rumors of illegal steroid use already circulating in magazines like Sports Illustrated, I felt torn regarding the worship of some sports figures. 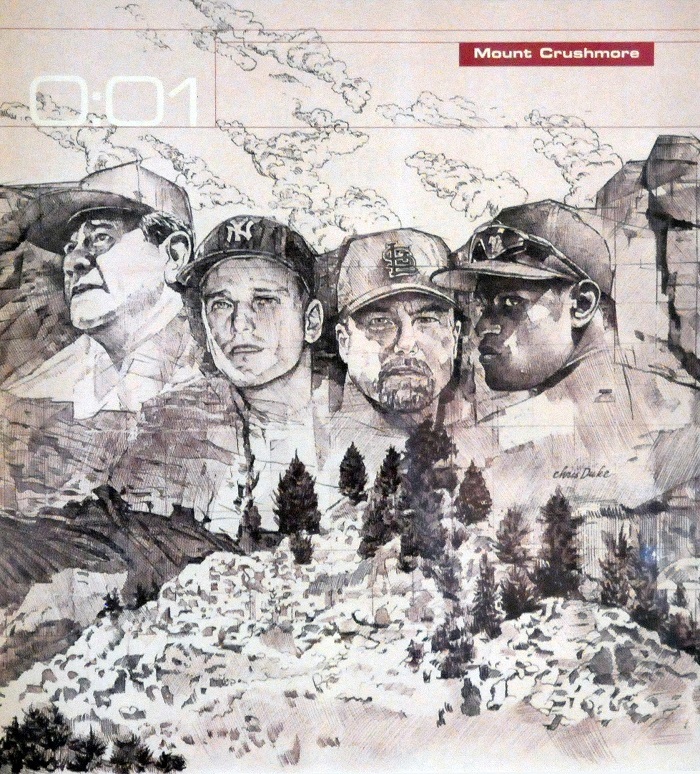 Planning the Mount Crushmore art, I did not want to give Mark McGwire and Sammy Sousa the same Rushmore esteem as the supreme sluggers Roger Maris and Babe Ruth. Looking back on these times, I remember Bob Costas’s wise remark that people “didn’t notice a damn thing when guys showed up looking like they were inflated with bicycle pumps.” Well, the art stands but the choice of heroes is not mine.